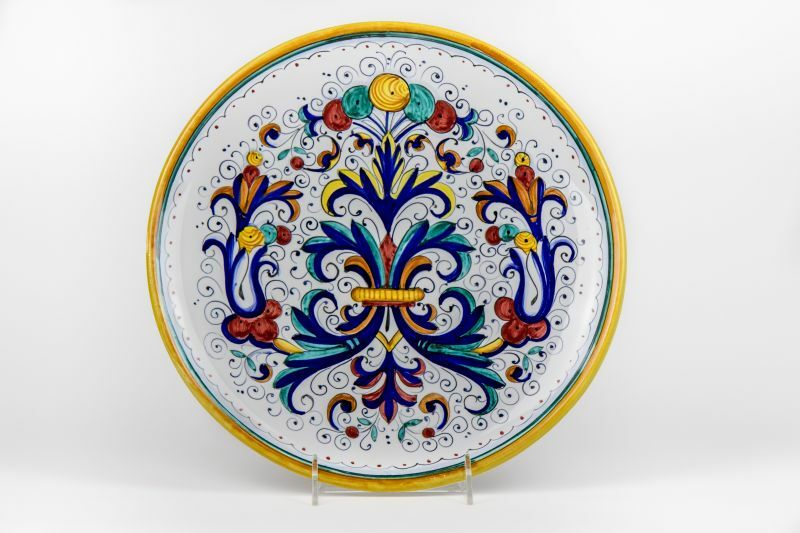 The pattern on this serving platter is named after its town of origin, Deruta, an antique terra coda town nestled in the hills of Umbria. This where the art of ceramic production is most popular in Italy. 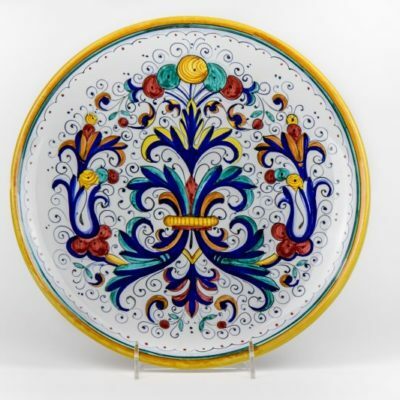 Called Ricco Deruta, this ornate and colorful piece makes serving most pleasurable.